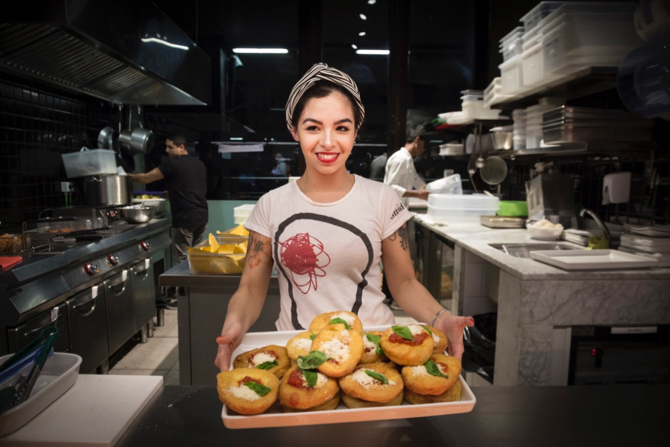 Apron and Sneakers - Cooking & Traveling in Italy and Beyond: Happy First Birthday, Mercato Centrale Roma! What was once the old and unused social room of the railroad company's employees was refurbished and converted into something fascinating. 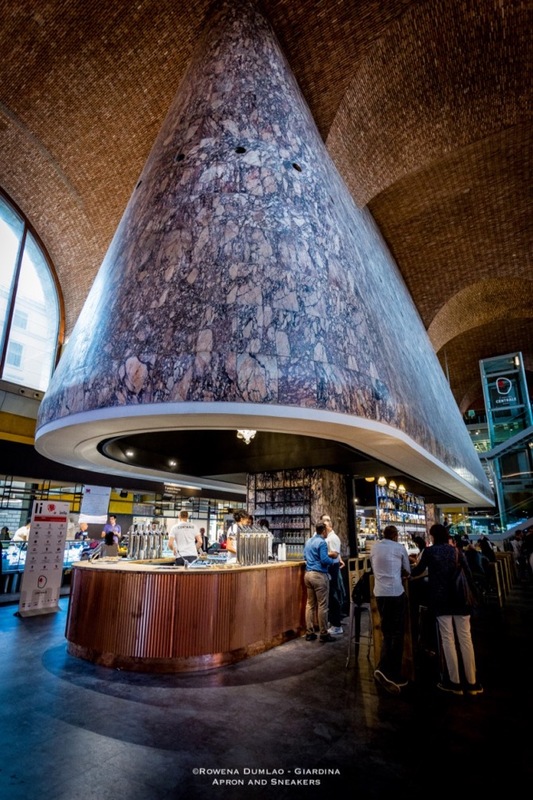 The high brick ceiling was left as is, as well as the majestic Cappa Mazzoniana from the 1930s made of Portuguese pink and gray veined marble which remains as the focal point of the architecture of the whole market. 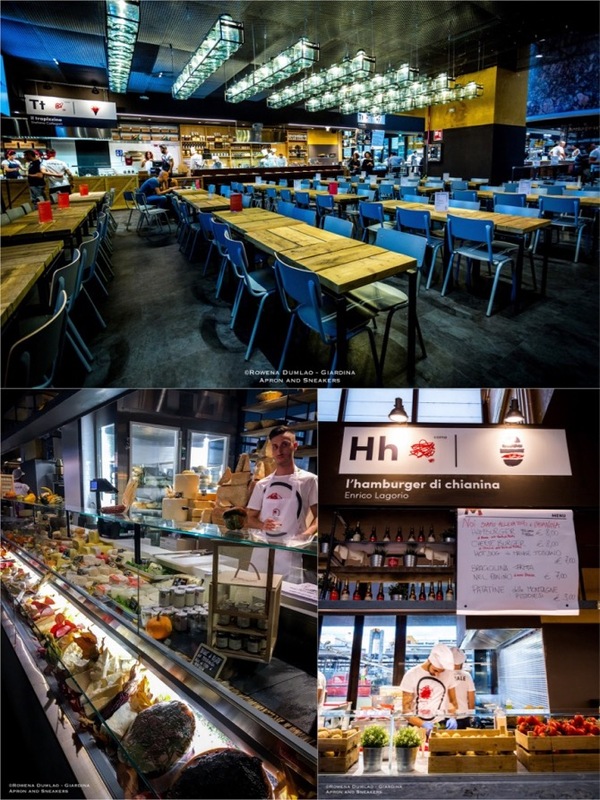 It was a project that took shape after the second year of the Mercato Centrale Firenze, in 2014. From Florence to Rome. 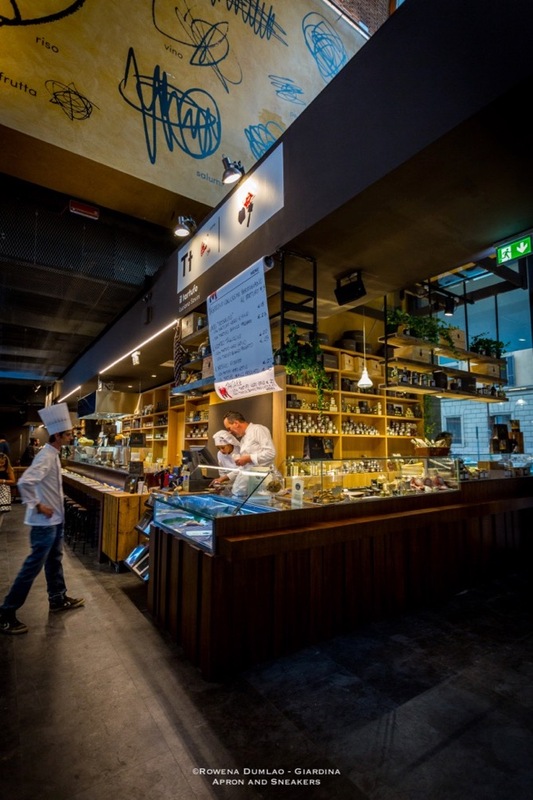 The successful concept of Mercato Centrale Firenze takes over Mercato Centrale Roma too. These selection of food products of the two markets are diverse from each other apart from five that bridged the two cities. 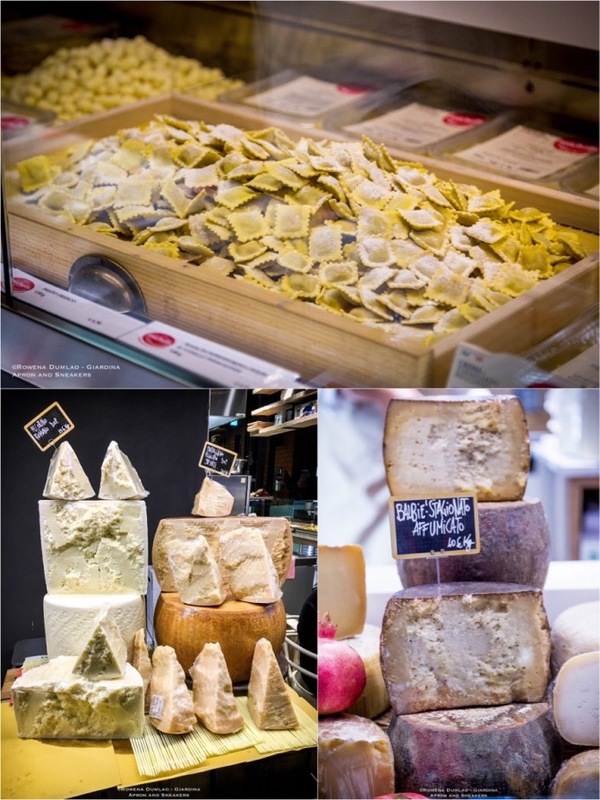 The truffles of Luciano Savini, the vegan and vegetarian food of Marcella Bianchi, the Chianina hamburgers of Enrico Lagorio, the meat and cold cuts of Fausto Savigni, and the Sicilian delicacies of Carmelo Pannocchietti of Arà. 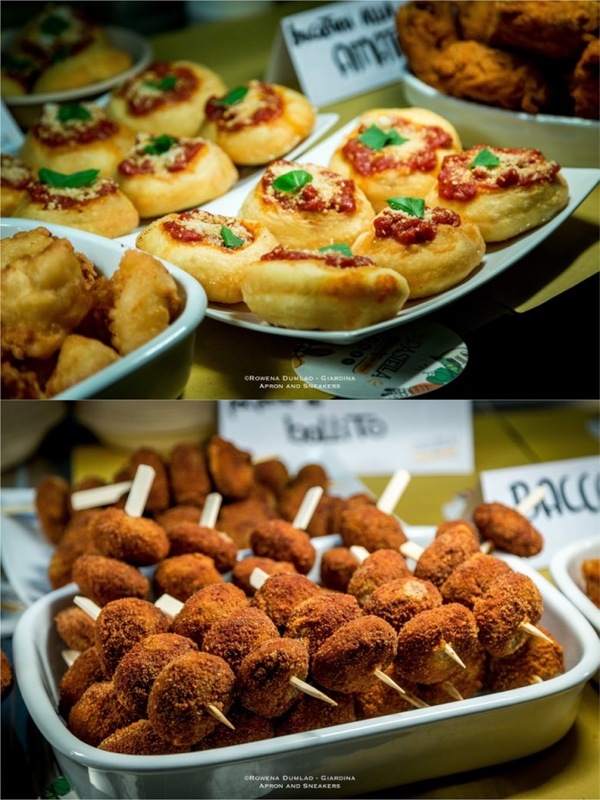 You can find the list of the other shops in my post about Mercato Centrale Roma last year. 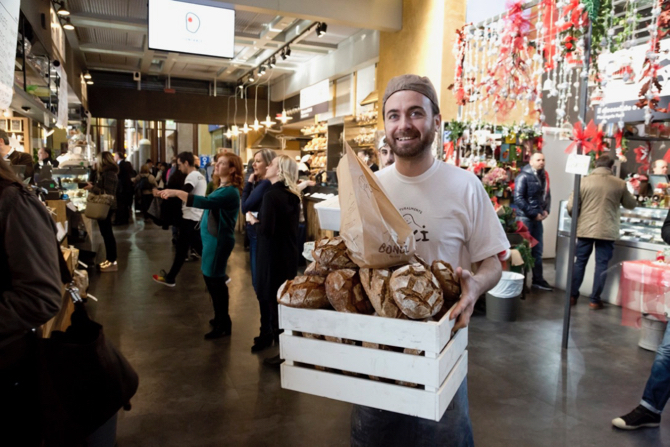 Both markets share the objective of putting together the city's fine artisan food products under one big roof to give everyone the opportunity to choose fine Italian food in an informal elegant space. It works quite simply and fast by just ordering the food and drinks from one of the 16 food stalls which are all unique from each other then take it to your own table. 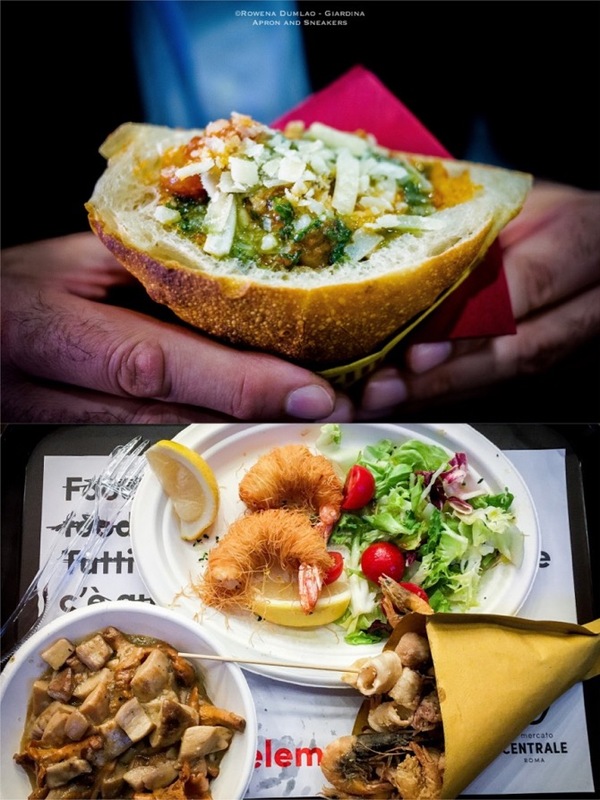 To commemorate the first birthday of Mercato Centrale Roma, activities are organized both inside the market and outside with which it shares the neighborhood with. 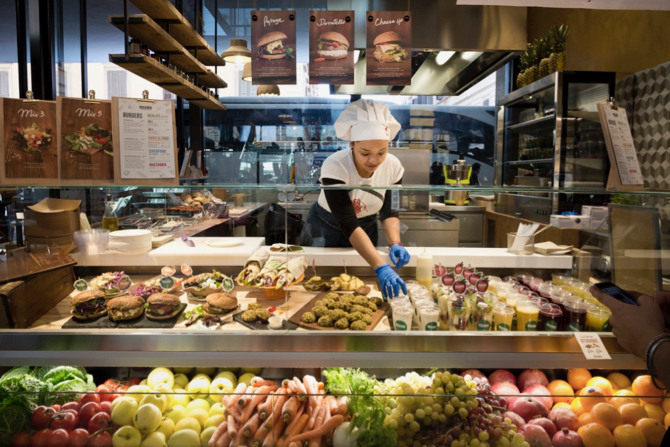 It's an important event that Mercato Centrale Roma wishes to celebrate with everyone who has stood by them during the year. 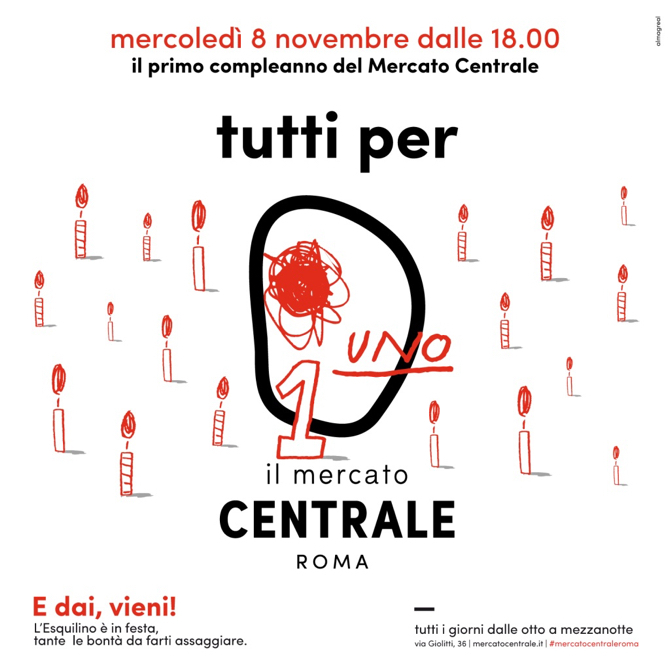 On the 8th of November from 18:00 onwards until late at night, Mercato Centrale Roma will celebrate its first birthday. The event is open to all, and will involve not only the market but the entire Esquiline Quarter. 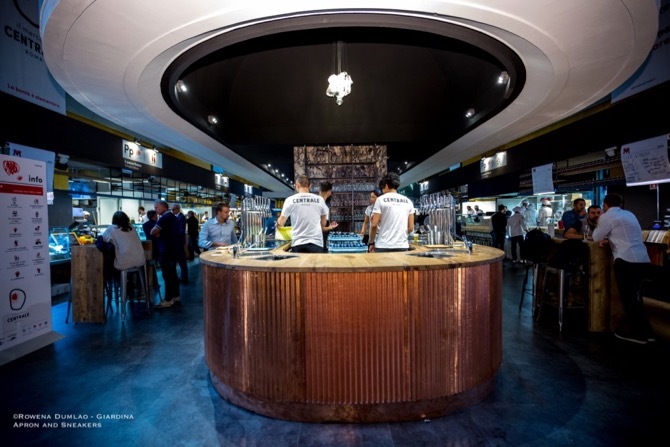 In addition to being able to taste a specialty in every shop, Mercato Centrale will offer a glass of wine to all its participants thanks to the collaboration with Feudi di San Gregorio and Vespa that made it possible to create a label dedicated to the Mercato Centrale Roma. 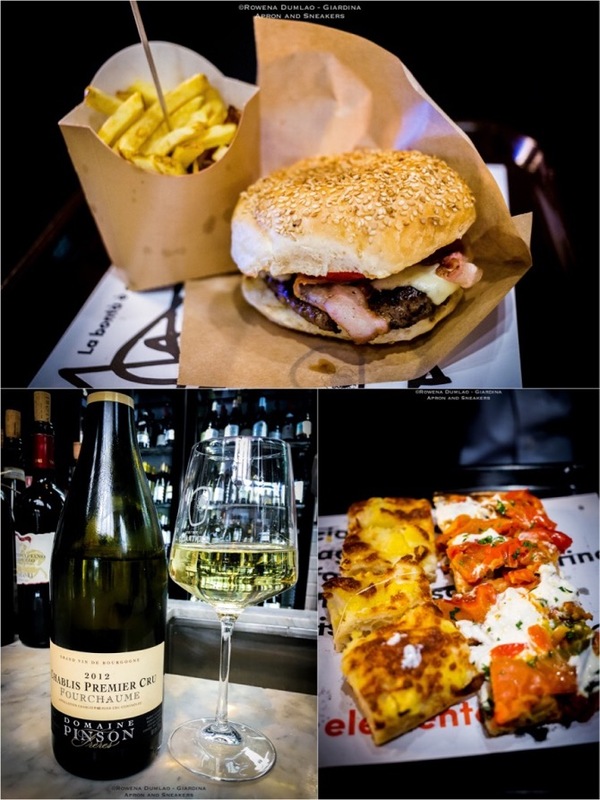 Food and wine will not, however, be the only protagonists of the festivities. Activities will range from music, art, cinema and theater. 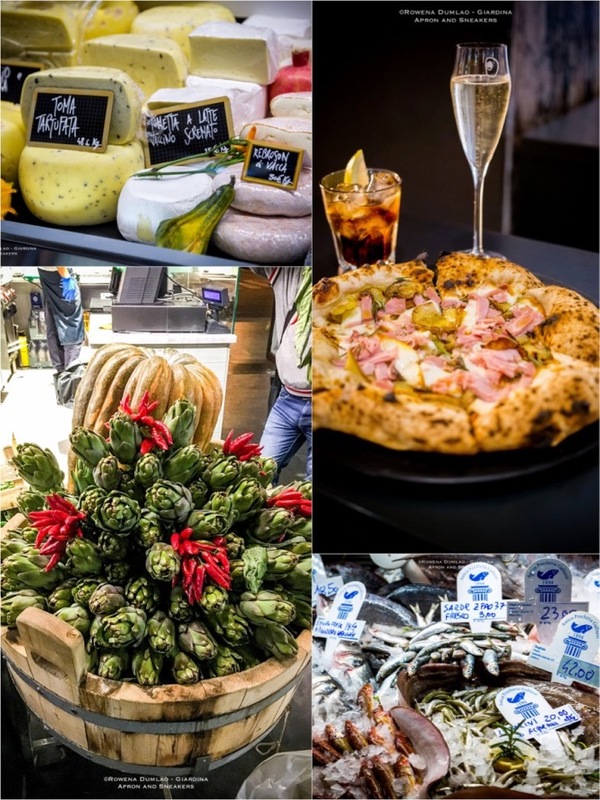 Being a very important occasion for Mercato Centrale Roma, it's also the right time to thank the neighborhood and the city that welcomed it and to meet all those who have collaborated to make Mercato Centrale Roma a major point of reference for the Romans and the city's visitors. Between 17:00 and 19:00, the musical band of Marco Guazzone and the Stag will perform in the streets of the neighborhood and at the station. 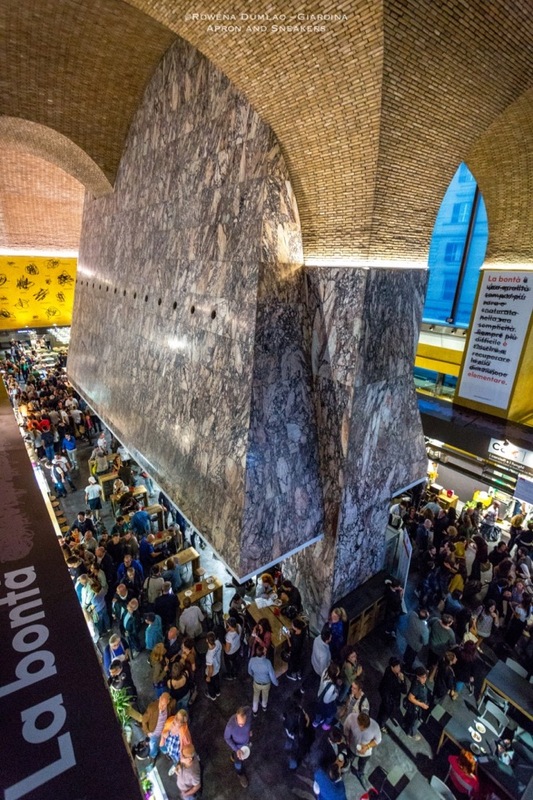 In addition to this, from the square to the second floor and throughout the market, alternating activities of live painting, artistic performances with street artists, and music will take place. Like any birthday parties, Mercato Centrale Roma will also have its own cake to slice and share with everyone at 22:00. The cake will be prepared by Gabriele Bonci, together with Fondazione Il Faro to support the young people of all nationalities with practical training, work orientation and hospitality. But the cake doesn't conclude the party yet because afterwards, the party continues until 3:00 in the morning with an after party event organized by K-Party. Il cibo, quando di qualità, quando preparato con materie prime ricercate e con l’amore e la passione delle persone che dedicano la loro vita all’arte della sua preparazione, è buono, non ci sono altre parole, altri appellativi da aggiungere. E la bontà è semplice, anzi la bontà è elementare. Food, when of good quality, when prepared with prime materials and with love and passion of the persons who dedicate their lives in the preparation, is good, there are no other words, appellations to add. And the goodness is simple, rather, goodness is elementary.